As a composer I’ve always been intrigued by the way people who are not professional musicians talk about music and how they tend to reveal things about themselves when they do. And so, 20 years ago, when Radio 3 was looking for a new programme in which a huge variety of people talked about their passion for music, I felt very excited about the possibilities. We called the programme 'Private Passions' because we’ve largely avoided professional musicians – whose musical passions are public. Music seems to connect us with what really matters. Music seems to connect us with what really matters, beyond the daily busyness of our lives, so when we talk about it we soon come to love and death. Over the years, acts of seduction, weddings and funerals have all loomed large; nonetheless,I can honestly say I haven’t regretted any of my guests. I enjoy the way they confound all the established musical categories, mixing up classical and jazz and rock music. Indeed they have sometimes made me overcome my own prejudices. 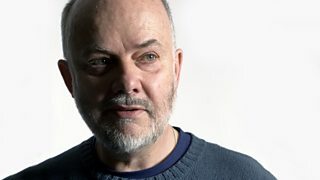 To mark the 20th anniversary, extracts of interviews with guests from the last two decades have been drawn together to form a special edition of the programme broadcast at 12.00 on Sunday 19 April. Many of the complete interviews are available to listen to here and through the Private Passions podcast. Recognised as one of the most distinguished painters and opera designers of recent times, David Hockney talked to Michael Berkeley about life, art and his unique relationship with the theatre, drawing on music by Wagner, Bartok, Mozart, Ravel and Strauss. 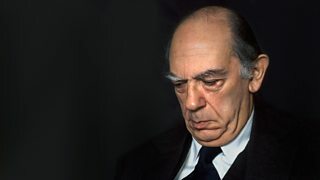 Philosopher Isaiah Berlin was once described as 'the leading candidate for the title of Greatest Living Englishman'. During his interview with Michael for Private Passions he disclosed an astonishing childhood memory of actually watching the Russian Revolution, at the age of eight, from a balcony in St Petersburg. I like startling things... things which make you stop and think goodness me, what is that? The famous broadcaster's appearance on Private Passions prompted Michael Berkeley to wonder if his guest's taste for the unusual would extend to the classics. But he was surprised to discover that Peel preferred 'soft-bellied' music which 'tended towards romantic sentiment' and the 'rhythmically driven'. Yet the ever-adventurous Peel was the only guest who asked Michael to surprise him by choosing a piece he should know. Michael's choice, Conlan Nancarrow’s piano rolls, so gripped him, he took it and played it on Radio 1. The gloomier is made glorious by art. When I am in a depressive mood I need something intensely sad, like Winterreise. I can't be jollied up. The then clinical professor of neurology at the Albert Einstein College of Medicine in New York, Oliver Sacks has been described as 'a doyen of science with a human face', and his bestselling books include Awakenings, A Leg to Stand On, The Man Who Mistook His Wife for a Hat, Seeing Voices and An Anthropologist on Mars. In Penny Marshall's 1990 film based on Awakenings, Dr Sacks was played by Robin Williams. I am an essentially passionate person, Michael Berkeley, and it's very astute of you to recognise that. In an extended Christmas edition, Dame Edna Everage, altar ego of comedian and actor Barry Humphries, revealed to Michael Berkeley her musical private passions. Among them are Bless This House sung by John McCormack, Rutland Boughton's Faery Song, Khachaturian's Sabre Dance, and the 'classic' of her native Australia, John Antill 's Rain. The great prima donna herself contributed a rousing number from her Last Night of the Poms. 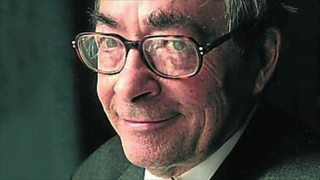 In 1992 Michael Berkeley met eminent scholar George Steiner, formerly Professor of Comparative Literature at St Anne's College, Oxford, and sometime Fellow of Churchill College, Cambridge. Professor Steiner talked about a wide spectrum of music, from 17th-century Italian Salamone da Rossi and a madrigal by Gesualdo to songs by Schubert and Poulenc, as well as tracks by Edith Piaf and Dizzy Gillespie. 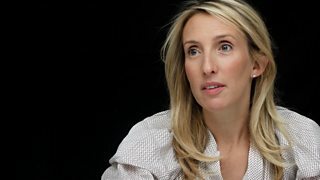 Turner Prize-nominated conceptual artist and director of the film Nowhere Boy, which documents the early life of John Lennon, Sam Taylor-Johnson (Taylor-Wood as she was then known) explained in her interview that much of her work has been inspired by music, from opera to Bach. Her most recent film, is 50 Shades of Grey. I don't know how it is that music can work directly on the emotions, without the intermediary of words and story - it seems like a miracle. A post-war baby born to Ukrainian parents in a German refugee camp, Marina Lewycka has lived in England since she was one. She read English and Philosophy at Keele University, enrolled for a PhD at Kings College, London, and then spent many years as an unpublished writer, before finally achieving huge success, at the age of 58, with the novel A Short History of Tractors in Ukrainian. Her subsequent novels, Two Caravans and We Are All Made of Glue, also deal with aspects of immigrant life. We drew up boundaries: in the music room, Ravi Shankar was my guru; in the dining room he was my father. 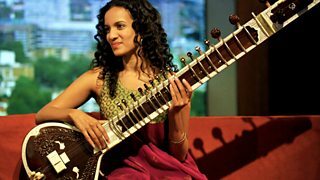 Composer and sitar player, Anoushka Shankar shared a common bond with Michael Berkeley ‒ they are both the offspring of composers. She described her motivation to take up the instrument which had made her father Ravi world-famous, and the tensions it brought at home while she grew up - it was made clear that, though she would never be coerced, her commitment to the sitar had to be total. I'm not generally a fan of poetry being set to music. Poetry is different from the words of a song - it carries music within it. 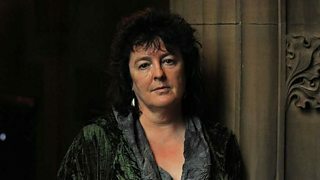 The first woman, the first Scot, and the first openly gay person to hold the post of Poet Laureate, Carol Ann Duffy was appointed in 2009, having won many awards for her poetry collections since taking first prize in the National Poetry Competition in 1983. In a spookily old-fashioned way, I believe in drawing - it's the basis of everything I do - like a pianist doing the scales. As part of Radio 3's Benjamin Britten Centenary weekend in 2013, Michael Berkeley travelled to Aldeburgh beach in Suffolk to meet the artist Maggi Hambling at her memorial to Britten: two giant interlocking scallop shells. 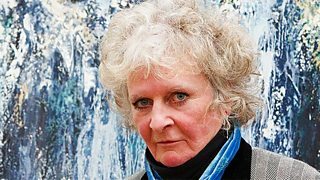 Michael also visited her nearby studio to see paintings inspired by the Suffolk sea and to talk about the effect of Britten's music on her painting and sculpture. 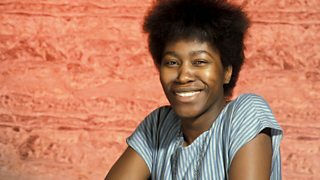 When Joan Armatrading's mother bought a piano 'as a piece of furniture', little did she know what she was starting. The 14 year-old Joan taught herself to play it, then to play the guitar too and 12 years later she had a hit song Love and Affection. In a career spanning 40 years, she has amassed three Grammy and two Brit Award nominations, won the Ivor Novello Award, became the first female UK artist ever to debut at No.1 in the American Billboard Blues chart, and was awarded the MBE. 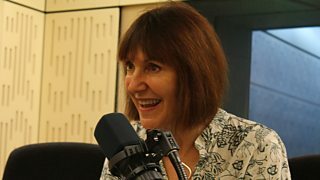 Visit the Find-a-Castaway archive of Private Passions' Radio 4 sister programme, Desert Island Discs. More than 80 episodes, including a selection drawn from the archive to mark the 20th anniversary of the programme.